This series is designed to create beautiful hangings for yourself or as gifts. 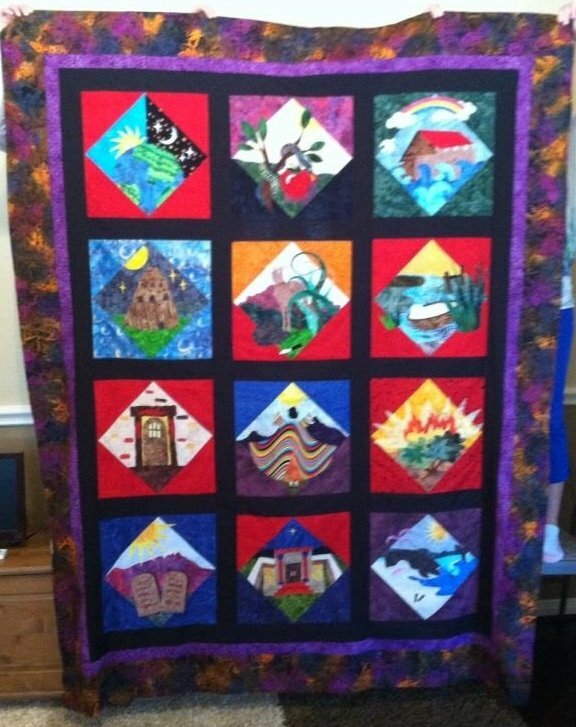 The 12 Old Testament Bible patterns work well individually as 14" x 14" OR 20" x 20" wall hangings, or you can create an entire 64" x 80" quilt. Each pattern includes complete and clear instructions with diagrams and a full sized positioning sheet for assembly. The pattern pieces are computer drawn and professionally printed for ease of use. 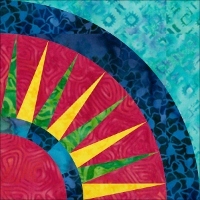 Each pattern package features a full color image of the completed quilt. Every month you will receive a kit that contains the pattern, instructions, positioning sheet. fabrics and double-sided fusible web for that block. The monthly charge is $ 17.49, including shipping**. A finishing kit for sashing, borders and binding is available for HERE. Please note the finishing kit will be purchased separately when it's available; it is not included in the 12-month subscription cost for the BOM program.